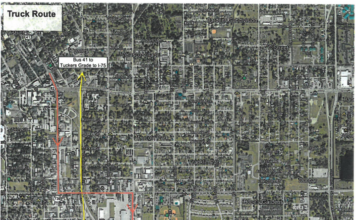 Friday is the DEP’s deadline for Fort Myers to lock down their plans to remove 30,000 tons of toxic sludge from the Dunbar neighborhood. At 5:30 p.m. the City released their sludge cleanup plan. The City says they plan to relocate the fence starting next week and will start removing the sludge October 1. The toxic material will be loaded onto dump trucks and transported to Crystal River, but truck routes have not been finalized yet. Willie Banks who lives in Dunbar says he can’t believe the toxic sludge has been allowed to sit across from his home for more than 50 years. “I always wondered why nobody never build on that land,” he said. 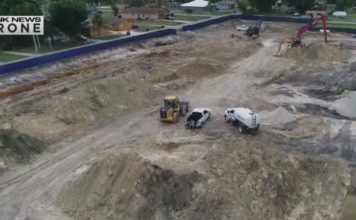 And since learning that the City of Fort Myers dumped sludge in their neighborhood in the 1960’s, Banks says he is most frustrated waiting to learn when and how the sludge will be removed. “I just want to be surprised when I see how they’re gonna do it and when they’ll start doing it,” Banks said. Removal is expected to cost $3.2 million taxpayer dollars.